With Halloween just around the corner, tons of retail stores are planning special promotions and in store events to celebrate this spooky holiday. Maybe you own a candy store, and want to discount all your specialty candy. Or maybe you manage a trendy clothing boutique, and want to throw a VIP costume party. 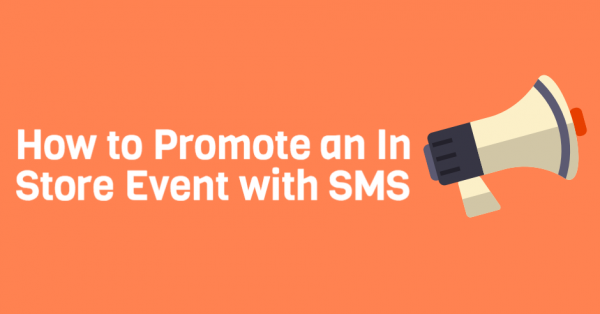 No matter the occasion, SMS marketing should always be included in your promotional efforts. This tactic isn’t an accessory, it’s a marketing necessity. It allows you to reach hundreds, even thousands of interested customers in a matter of seconds. As long as you prioritize high value campaigns, your subscribers will consistently engage and look forward to your campaigns. So, let’s say you’re hosting an annual in store event, and want to generate qualified foot traffic using SMS. Where do you start? Follow this simple three step campaign creation formula. Secure an event date, and send out an early bird announcement. In this announcement, tout SMS exclusivity. Make sure your opt ins know that they’re the first to hear of this event. Encourage all other customers to join your SMS marketing list, as this offers VIP status. In general, your SMS campaigns should always reward loyal subscribers with an exclusive offer. Offer a special mobile coupon in exchange for attendance. If other event attendees have to pay a cover charge, let SMS subscribers in for free. Send out a “day of” reminder. The day of, send out a special event reminder, and encourage SMS subscribers to stop in. Partner up with an SMS marketing provider that prioritizes your success. We offer tons of educational resources that help you better understand the basics of this mobile communication method. Give us a call today at 1.800.688.6290, shoot us an email at info@slicktext.com, or hop over to the pricing page and sign up for your free plan.